After a daring chase across the globe, Tim Barnabas and Clara Calland have brought Clara’s scientist father’s secret formula to Westralia. Here, much of Australia is simply too hot to be habitable by day. Duke Malcolm, of the Imperial Security Service, transports Claras rebel-father to a prison in Eastern Australia, hoping to bait her into attempting a rescue. Clara looks to Tim for help, only to find he has fled a racist incident into the desert. She takes a burrowing machine know as a “steam mole” in search of him. The two head to Eastern Australia, where they discover an invading force with plans to take Westralia. This is the sequel to Dave’s young adult novel Cuttlefish which I reviewed recently, and features the continuing adventures of Tim Barnabas and Clara Calland. Tim, along with the crew of the Cuttlefish, is stuck in Westralia, while the submarine is repaired. He takes a job working on the steam moles, digging tunnels to the mines north of the Tropic of Capricorn where it has become so hot that the trains must go underground. Only it all goes wrong, and he escapes into the desert… Meanwhile, Clara’s mother is poisoned by an Imperial agent and is sick in hospital. Clara learns that her father is incarcerated in Imperial territory in Queensland, and sets about attempting a rescue. When she finds Tim is missing, she steals a scout steam mole and follows him out into the desert. I think you can see where this is going. 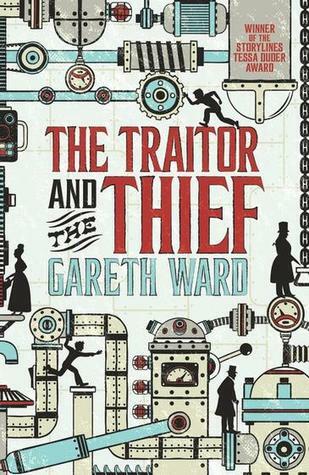 You get a rollicking steampunk adventure, with a touch of romance, set in the Australian desert. It’s a lot of fun. 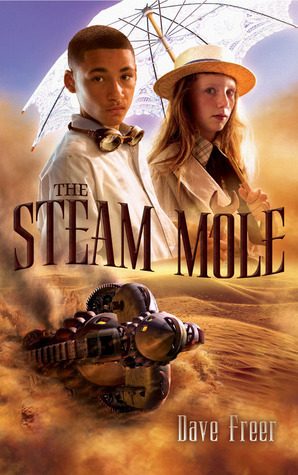 The star of the show, however, is not the characters, but the steam mole itself. Dave does a masterwork job of creating this wonderful steampunk device, making it thoroughly believable. The story ends happily for all concerned, save the villains, who get what they deserve. Perhaps it’s a bit simplistic for some, but I found it a good read, and one I can happily recommend to young and old, especially if they are fascinated by unusual mechanical devices. 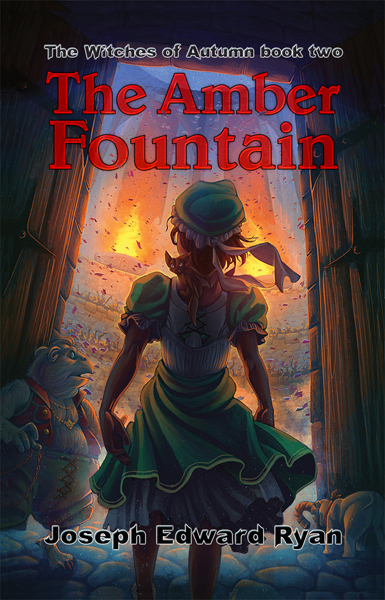 This novel has interesting and distinctive characters, a strong plot, and a unique background. It ends (appropriately for its genre) on something of a cliff-hanger, and I have to say that I am genuinely looking forward to the next one. What’s more I’m quite certain I would have enjoyed this book as a child, and I suspect that it will appeal to many an imaginative young reader – and to older readers too. It is a hopeful sign of a growing maturity in the field of SF&F in New Zealand that this work of fantasy doesn’t feel the need to scream “I am a New Zealand novel” although it was both written and published here. Instead it whispers its kiwi roots in references to such things as feijoas and punga trees, which I’m sure is entirely deliberate. 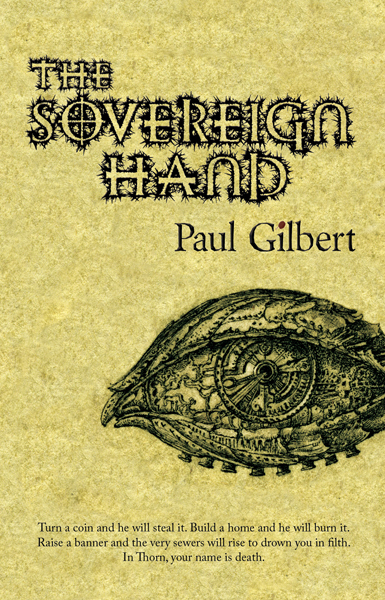 In fact, I suspect that a great deal of deliberation has gone into the writing of “The Sovereign Hand”, in its clever and carefully measured prose, its meticulous setting, and memorable characters. 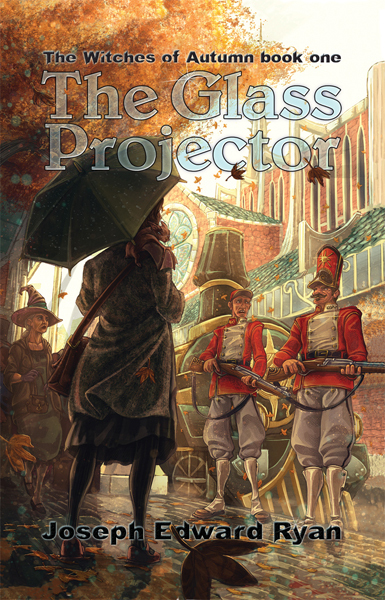 That setting is quite unusual, an amalgam of High Fantasy and Steampunk, where science and magic both work, and can therefore happily pit guns and explosives against eldritch creatures of magic. And not just that, it is a socially and politically evolved magical society where non-human sentients like gobelins, drakes and taureans are being steadily integrated into the Primacy. There’s a reason why most fantasy authors maintain their societies at the pseudo-medieval – it’s comfortable and familiar, a whole lot easier on both writer and reader. Gilbert has dared to be different, to do the difficult thing, and by and large, he succeeds. But it’s not always an easy read. He likes to play with words, digging into odd lexicographical corners, and coining new words of his own, which can occasionally confound the reader. Never mind, this is a grand and highly original work of fantasy, a complete and exciting story in one volume (not just one in an interminable series of boring bricks). The story centres around a group of variously talented young people, some more likeable than others, all of whom are called to defend the Primacy against the latest in a series of disasters called Galls. After a somewhat boggy start, the plot really gets going when the Hand are brought together and they go through the portal called the Gherensgate to find their fate. But after they return to Thorn they find that it’s only the beginning, and then the story inexorably begins to build to a truly spectacular climax. Definitely recommended, and quite possibly one of the best works of fantasy ever published in New Zealand. Many people loved the beach, and Sophia del Morte was most assuredly not among them. Her profession had taken her to many unpleasant places before, and this barren wasteland of waves, wind, and dunes was merely another. She understood the Maestro’s reasons for choosing this site, but why couldn’t his ideal location have been within reasonable distance of a pleasant hotel or perhaps a vineyard? Sophia sighed, turned, and spat out more sand that had worked its way into her mouth, and resolved to forebear it, and most certainly not whisper any complaint. She had only made that mistake once. The compass in her hand chimed. She pushed her dark lenses up the bridge of her nose and looked around her, a slow smile spreading across her face. Yes, this barren stretch would be ideal. Her smile faded however when her eyes followed the coastline to where she would make ready the Maestro’s arrival. Two men in their rolled up shirtsleeves were working feverishly on some sort of contraption. It was a round cigar-shaped object about as tall as Sophia herself, and held in a cradle made of iron. She was curious by nature; and perhaps if she’d been on any other case she would have endeavoured to find out what they were up to, but the fact was they were stymying her plans. This would not be born. free, only to vanish into the Carolina breeze. Or perhaps it wasn’t steam at all, because it looked thicker, and heavier than the surrounding air. In fact, the dense mist seemed to fall from the apparatus. Now, Sophia was completely mesmerised by the device. One of the men, the one with less hair, had some small hatch open. “Do you think the thrust calculations are closer this time?” he asked while fiddling around with the invention’s inner workings. True to form of socially inept schlockworkers, neither of them were going to notice her anytime soon—a situation Sophia was not accustomed to. There was simply nothing for it, but to state the obvious. “A very interesting-looking contraption,” she 0N said with what she had been told was her most disarming smile. The men spun around as if she had already stuck a knife in their backs. She must have made quite an appearance because their mouths literally dropped open. Now, she held their undivided attention. Perhaps they were not used to a woman carrying a rifle, or perhaps they just had very ugly women in this part of the world. She would not have been surprised. The number of American men on the Continent seemed to indicate to her that their women were not worth staying home for. “And that’s saying something,” the balding one added, his smile unexpectedly alluring. The two men wiped their hands on their pants and straightened, seeming to work together as one machine. Their once separate demeanours—the balding one being a touch flirtatious, the moustached man actually blushing ever so slightly— slipped away before her eyes, replaced with hard, stern looks. “But this is the spot I desire,” Sophia replied, her fingers splaying slowly around the shoulder strap of her Lee-Metford- Tesla. Flicking into sight like a serpent’s tongue, a concealed blade sliced through the tight space between the men. A loud clang ran through the air, immediately followed by the angry hiss of half a dozen slashed lines coiled around the device. The men leapt back, yelping in horror as various fluids, many of them either catching fire on contact with one another or creating more of the heavier-than-air mist, spewed in every direction. “You mean, like that?” Sophia asked. When she brought up her throwing arm a second time, another blade appeared, catching the sun as she slowly turned it in her hand. New Zealand born fantasy writer and podcaster Philippa (Pip) Ballantine is the author of the Books of the Order and the Shifted World series. 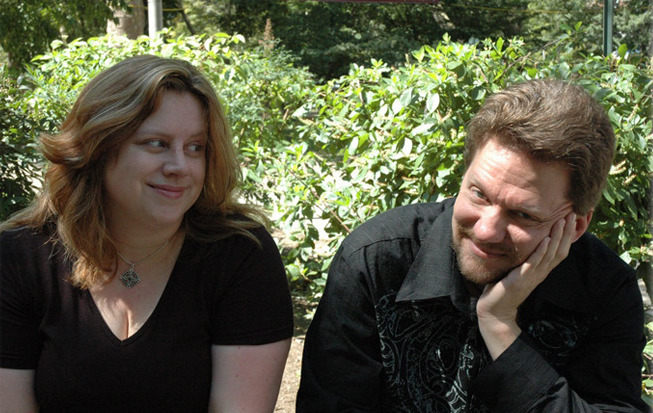 She is also the co-author, with her husband Tee Morris, of the Ministry of Peculiar Occurrences novels. Her awards include an Airship, a Parsec, and a Sir Julius Vogel. Morris is the author of Morevi: The Chronicles of Rafe and Askana and the co-author of the Ministry of Peculiar Occurrences novels. In addition to his work as a fantasist, he is also a social media pioneer and the author of Podcasting for Dummies and All a Twitter. Pib Ballantine & Tee Morris are the authors of Ministry of Peculiar Occurrences — the best selling, award winning steampunk series. 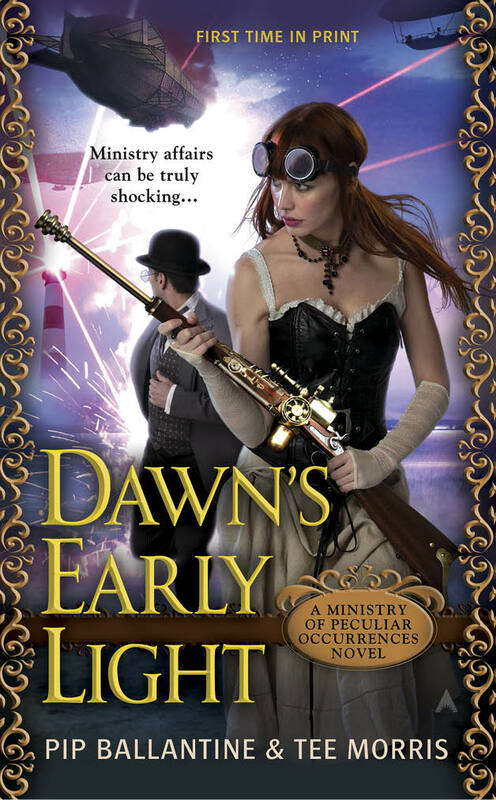 Novels: Phoenix Rising, the Janus Affair, and Dawn’s Early Light. Also includes digital short stories and a free award winning podcast series.